Amazon employees rarely speak out publicly against their company. But 3,500 just did. | "Global Possibilities"
Home » Climate Change » Amazon employees rarely speak out publicly against their company. But 3,500 just did. It is rare for employees of large tech giants to attach their names to a critique of their company. Over the past year, that has started to change with large numbers of Google employees publicly demanding change on issues ranging from the company’s payouts to male executives accused of sexual misconduct to its work on a China-specific search engine product. But at Amazon, which is notorious for secrecy and a litigious streak, public vocal dissent is practically unheard of. “There are certain issues — whether it’s sexual harassment and how women are treated in the workplace in tech or tech’s contribution to climate change — that demand that people speak up,” Weston Fribley, an Amazon software engineer who has worked at the company for more than four years, told Recode on Wednesday. He is also a co-filer of an Amazon shareholder proposal on climate change that he and a small group of colleagues submitted in the fall. Fribley said more employees felt comfortable going public with support for the group’s demands after Amazon announced a program called Shipment Zero in February that outlined a goal “to reach 50 percent of all Amazon shipments with net zero carbon by 2030.” While Amazon has said the plan was in the works for a while, the Amazon employee group believes their pressure played a part. “That showed a lot of people that, ‘Hey, this is an exciting thing to be a part of and it’s effective to come together and speak out on something that we care about deeply,’” Fribley said. The movement inside Amazon is the latest signal that tech workers are increasingly willing to play the role of corporate activist. Last April, thousands of Google employees signed a letter protesting the company’s work for the Pentagon. In November, more than 20,000 Google employees participated in an organized walkout following a bombshell report that company leadership gave a $90 million payout to a top executive pushed out over sexual misconduct claims. 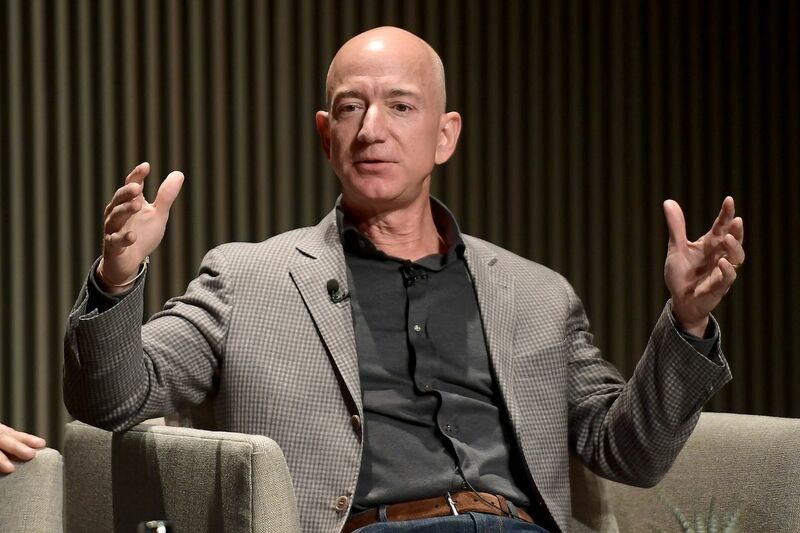 Amazon employees have challenged management over the last year, too, on issues ranging from the lack of diversity on its board of directors to selling its facial-recognition software to the police. But those groups of employees did not speak publicly with their name attached. Amazon employees who signed Wednesday’s letter had different reasons for doing so. But support is support.